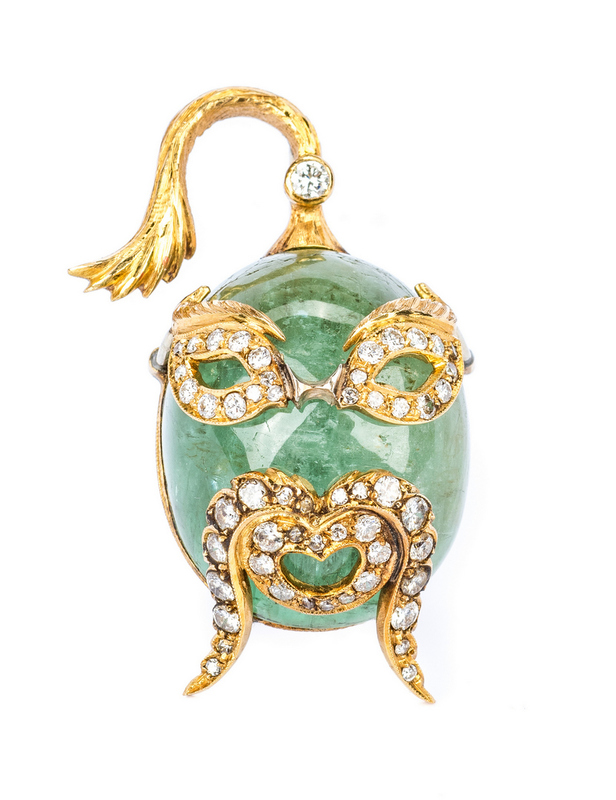 Guilio Nardi, Venice, Italy, circa 1959 cabochon emerald jeweled pendant or brooch, bust of an Asian Scholar or theater character with total 55 round diamonds in hair, diamond mask eyes, moustache and mouth (total weight approx. 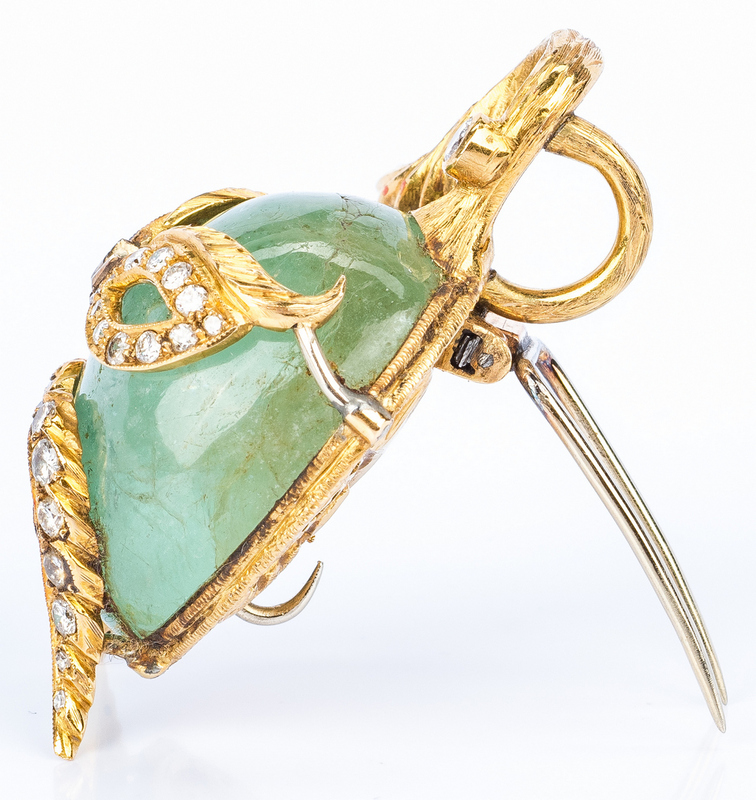 1.94 cts. ; approx. VS2-SI2, I-J). 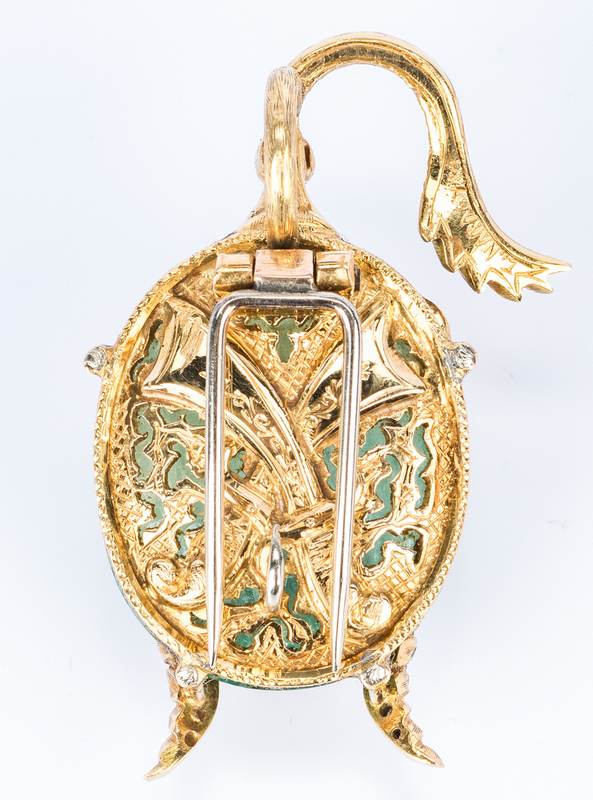 18K yellow gold handmade mounting, the back with crossed scimitars, chevron and cutwork dragon head and flying pearl decoration. 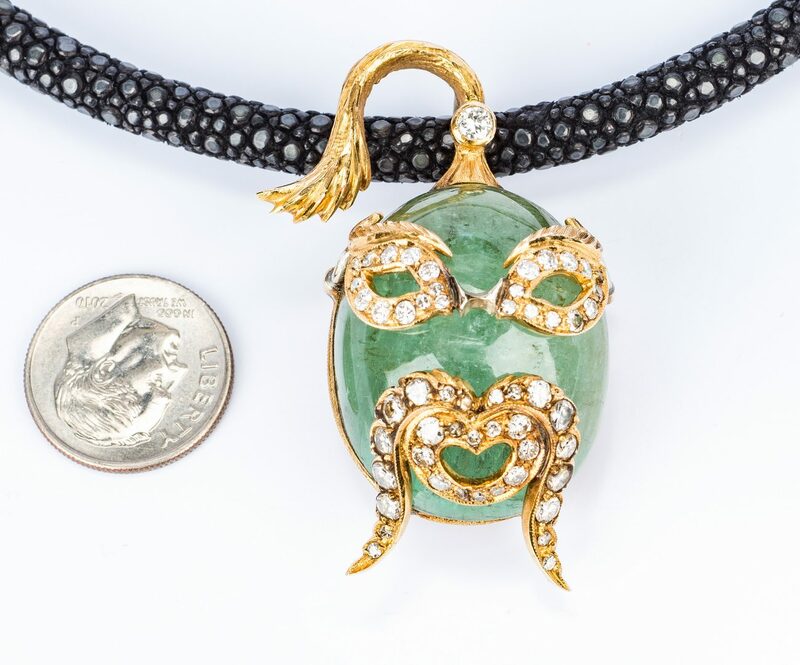 Cabochon emerald weighing approximately 73 cts. 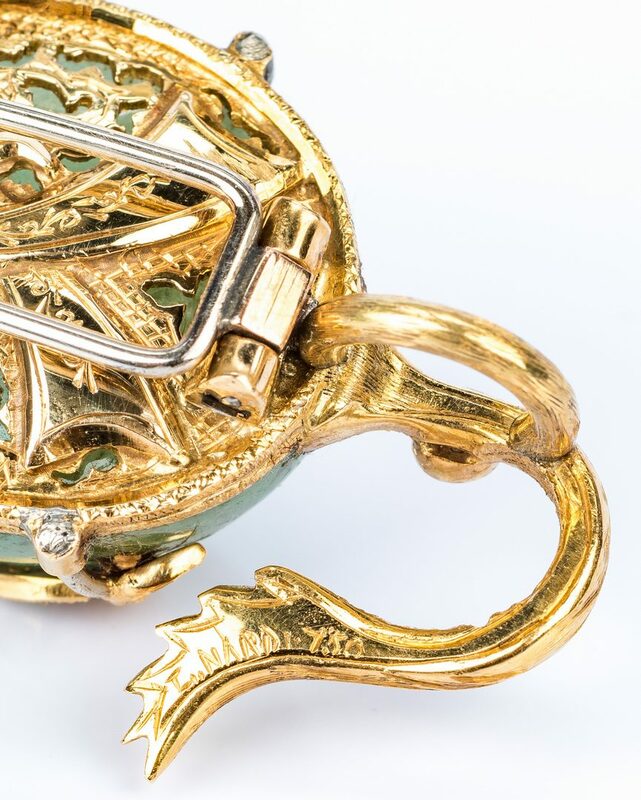 mounted with double-prong fur pin clasp, 7 x 6 mm (interior) bail for pendant and 5 mm long hook to mount figure upside down. Marked en verso of ponytail: G. Nardi 750. 47 mm H x 30 mm W. 33 grams. 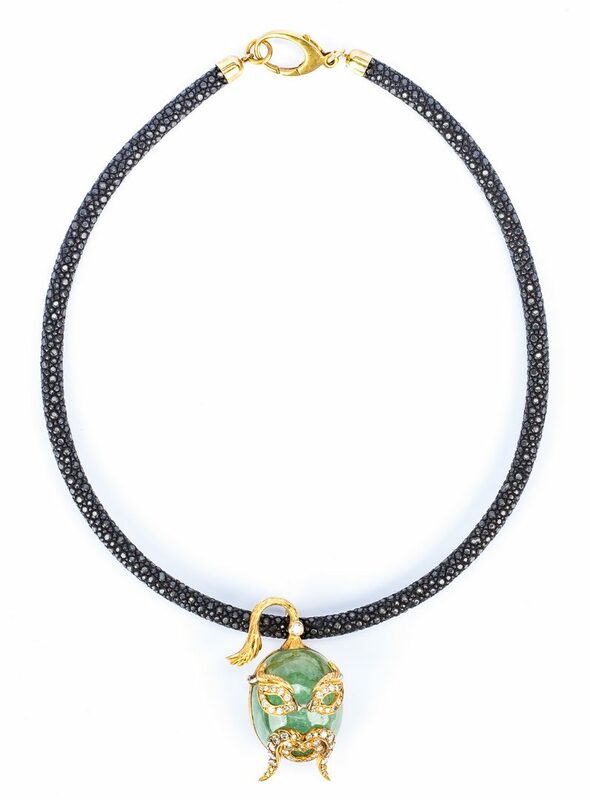 Pendant accompanied by faux black snakeskin collar necklace with gold-plated lobster-claw clasp, 16-3/4" L. Provenance: Private Ohio collection, acquired directly from Nardi in Venice, circa 1993. 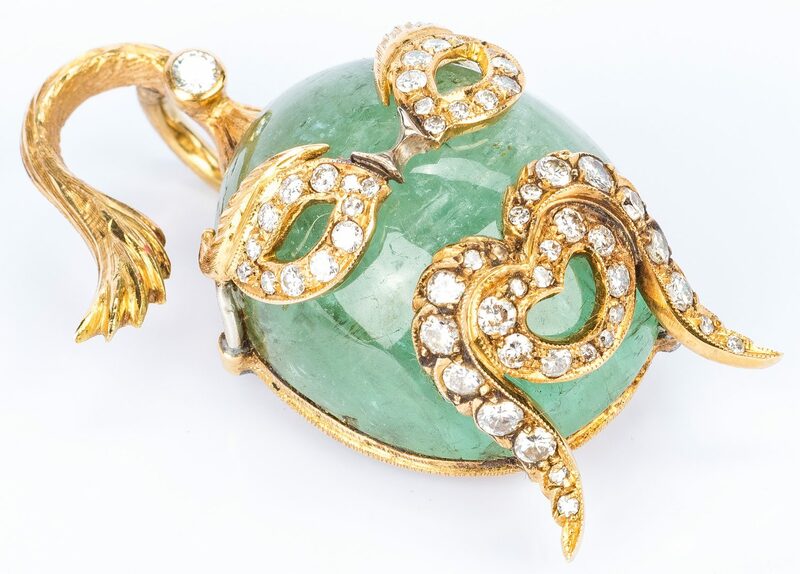 Consignor was told by the jewelry store at the time that this brooch dated from around 1959 and was one of the last pieces made by Guilio Nardi. 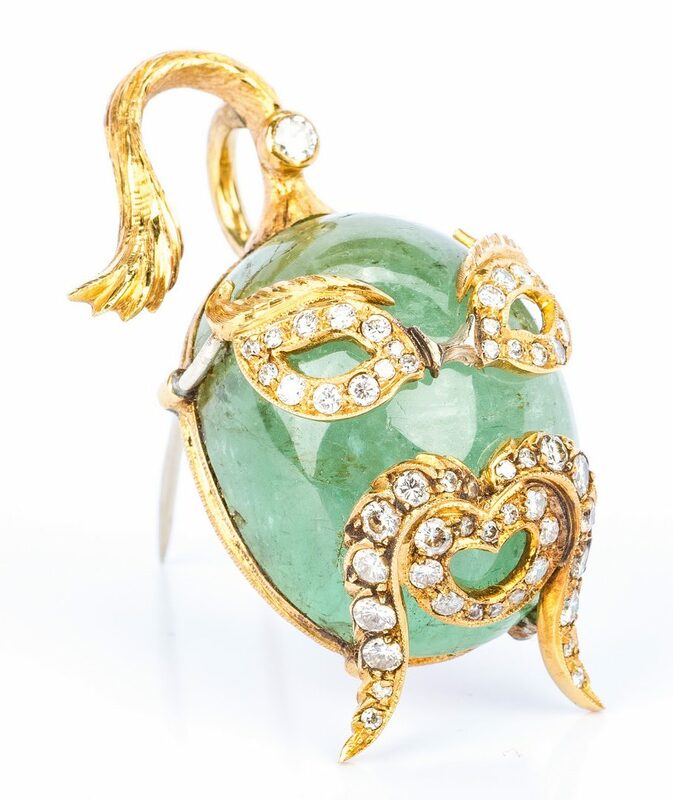 CONDITION: Some light surface grime where mounting attaches to emerald. 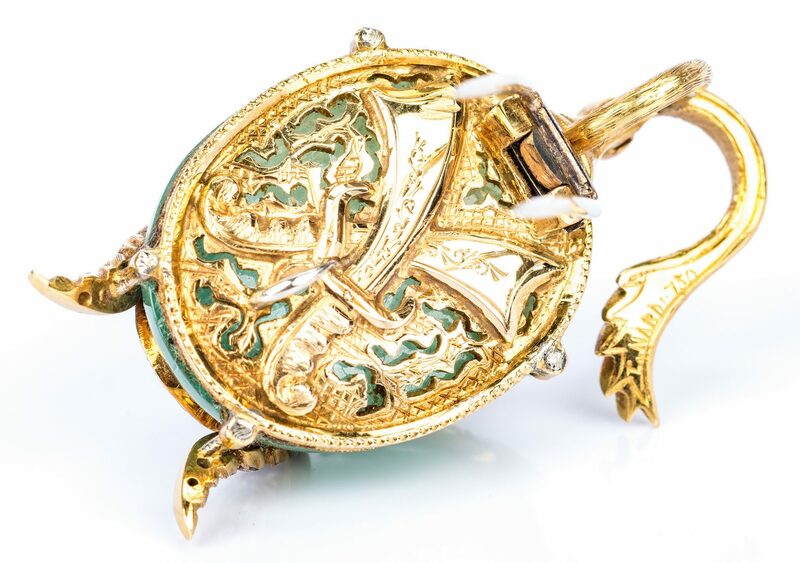 Scratches to surface of gold mounting.